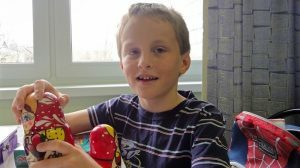 In spring 2010, Tennessee adoptive mother, Torry Ann Hansen, sent her seven-year-old adopted son, Artyom (Justin) Savelyev, back to his native country of Russia with a note that effectively said “Return to Sender.” Her reasons? That the child was “not in his right mind,” “violent,” and “mentally unstable” (Batty 2010). In the weeks that followed, the world witnessed a twisted version of “he said/she said” as government officials in Russia and the U.S. attempted to determine exactly what went wrong with Savelyev’s placement. Even months later, the rhetoric would prioritize saving political face within economic and diplomatic relations, rather than addressing those factors associated with international adoption pathways that would drive a mother to send her adoptive son back to his sending country (Loiko 2013). While people rightly expressed outrage over how Hansen handled the situation, Savelyev’s exile from his adoptive home in the U.S. was not as unusual as one might think. Since the early 1990s, an informal biomedical protocol has existed in the United States for quietly managing about 15,000 formerly institutionalized children like Savelyev, whose post-adoption behaviors (and adoption facilitators’ and adoptive parents’ inability to understand or manage them) jeopardize adoption outcomes. It typically begins with adoptive parents seeking help from their hometown medical professionals for what they perceive to be children’s major behavioral problems. Doctors then prescribe a combination of traditional psychotherapies and a barrage of medications to correct the behaviors. There is even a name for this first phase of intensive pharma-response: “the kiddie cocktail.” These children are then most often diagnosed with Reactive Attachment Disorder (RAD), an emotional disorder characterized by children’s inability or unwillingness to bond with a parental figure. When these traditional therapies and medications fail to produce genuine family feeling on the part of the child, however, well-meaning adoptive parents can become desperate enough to seek out controversial and sometimes dangerous forms of attachment therapy such as confrontation therapies, rebirthing therapies, and boot-camp style emotional discipline programs. If these programs fail, adoptees are then quietly re-circulated to long-term treatment facilities, group homes, or boarding or military schools within the United States. Here, youth remain until they emancipate at the age of eighteen. Upon legal adulthood, an astonishingly large number of them enlist in the military or enter other highly regimented professions (law enforcement, the prison-industrial complex) where, it is thought by parents and medical professions alike, they will thrive because they not be challenged emotionally. In other words, on paper they are adopted, but in reality, they spend most of their childhoods exiled from adoptive families (Stryker 2010). Anthropologists and other social scientists have paid a lot of attention to what we expect of both adoptive families and adoption agencies during adoption processes, and rightly so (i.e., Dorow 2006, Gailey 2010, Jacobson 2008, Stryker 2010). At the same time, it also important to think about what the continuing impulse to pathologize and warehouse adoptees who do not conform to our expectations after adoptions are finalized can tell us. Approximately 6 to 11% of adoptions are annually dissolved (severed after legalization) in the United States; 25% for those that involve older children, children who have spent longer periods of time in institutions/foster care, or who have experienced abuse and neglect (Coakley and Berrick 2008). And these are just the troubled adoptions that parents dare to report as such. 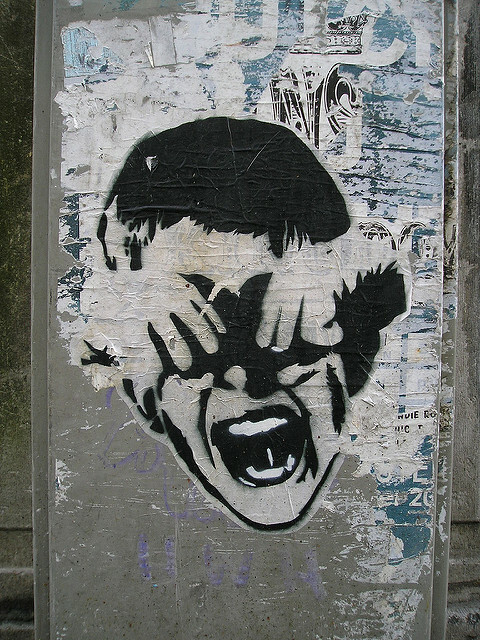 By allowing moral panics — which create unnecessary fears in adults and place the onus of responsibility on children to conform to emotion expectations to “earn” adoptive family — to shape our understandings of the difficulties that adopted children experience, we preclude more child-centered approaches to adoption and the use of anthropologists of children and youth’s specialized knowledge to tailor more child-centered approaches to family building through adoption, in both sending and receiving countries. In summer 2010, Artyom Savelyev was placed in another children’s home in his native country. He was also diagnosed with RAD by medical professionals that Hansen hired to support her court case. In due time, his adoption was annulled. Unlike the thousands of adoptees who have been quietly re-circulated in the United States, however, Savelyev’s case has since generated enough fanfare in Russia to garner him iconic status to rival Elian Gonzalez in Cuba. Russia also placed a moratorium on adoptions to the U.S. in 2012. Any subsequent silver lining to this story then, is that it is an opportunity to illuminate and analyze the context in which not just Artyom Savelyev, but many formerly institutionalized children have been circulated and re-circulated through and within the U.S. It is a sad irony that formerly institutionalized adoptees travel so far (both literally and figuratively), only to end up where they started. The anthropological examination of the impact of moral panics on the framing of the “adoptee mind’, and subsequently, the lifecourse of adoptees diagnosed with RAD, is a good first step in preventing this needless, and seemingly endless, search for home. Coakley, J. F., & Berrick, J. D. (2008). Research review: In a rush to permanency: Preventing adoption disruption. Child and Family Social Work, 13, 101–112. Dorow, S. (2006). Transnational Adoption: A Cultural Economy of Race, Gender, and Kinship. New York: New York University Press. Gailey, C.W. (2010). Blue-Ribbon Babies and Labors of Love. Austin, TX: University of Texas Press. Jacobson, H. (2008) Culture Keeping: White Mothers, International Adoption, and the Negotiation of Family Difference. Vanderbilt University Press. Stryker, R. (2010) The Road to Evergreen: Adoption, attachment therapy, and the promise of family. Ithaca, NY: Cornell University Press. Rachael Stryker is Associate Professor in the Department of Human Development and Women’s Studies at California State University, East Bay. She is the author of The Road to Evergreen: Adoption, Attachment Therapy, and the Promise of Family (2010, Cornell) and Up, Down, and Sideways: Anthropologists Trace the Pathways of Power (co-editor, with Roberto J Gonzalez, 2014, Berghahn) Dr. Stryker has been a member of ACYIG’S advisory board since 2009 and served as chair from 2013-16. Her current research concerns the impact of Israeli and Western Zionisms on Palestinian youth emotion performance throughout the diaspora. I am struck by how much the “adoptee mind” is located within the (unpredictable, risky) body of the child. I really appreciate your call for a life course approach to this topic, particularly as that approach could problematize the isolation of the mind of the child. It seems like just highlighting the ways that both Savelyev and Hansen are both people in time could change the possibilities for how we think about the actors in these highly moralized moments. I wonder how a life course approach to family building could open up new possibilities for imagining blended futures that don’t depend so heavily on the dominant models of aging as progressive?